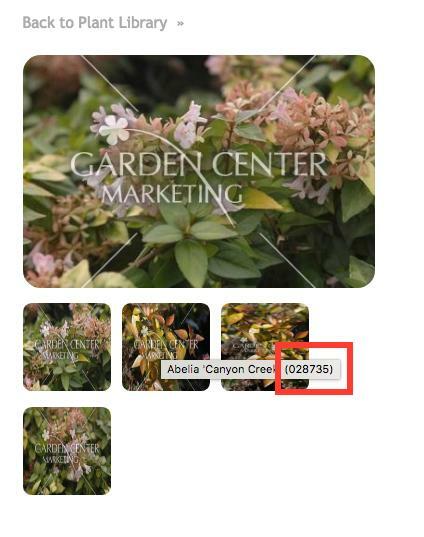 If you are interested in licensing images from GardenCenterMarketing.com plant library, please email support@GardenCenterMarketing.com with your company information, the intended use of the photos and a list of the desired photo IDs. 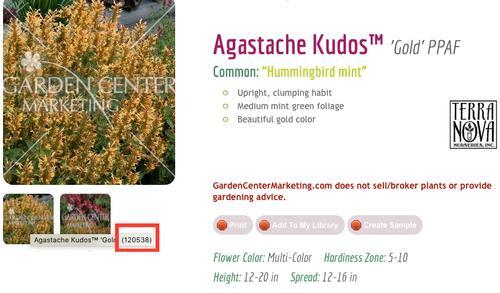 When you mouse over image thumbnails, the plant name and Image ID will display after the mouse hovers for a second or two. We will review your requests and let you know the licensing fee. Please note, that we do not have rights to distribute a couple of thousand images our of our library of 120,000+ print quality images.